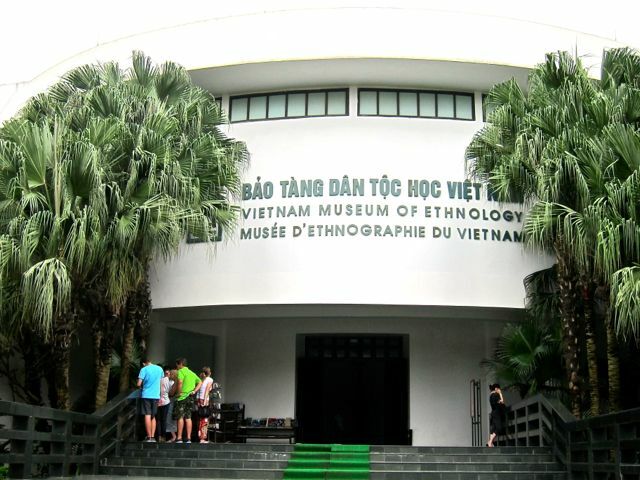 Not just a museum but also a research centre, the Vietnam Museum of Ethnology in Hanoi is one of the places you must include in your itinerary. 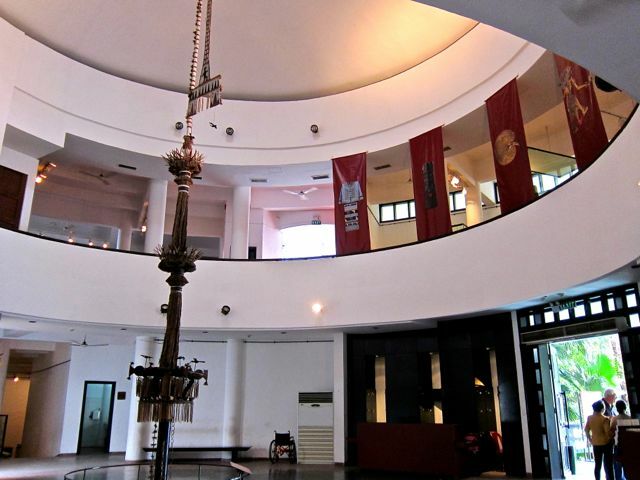 This circular building gives you a very interesting peek at Vietnam's 54 ethnic groups with their unique crafts, fabrics, houses, and other traditions. ​The largest ethnic group in Vietnam are the Kihn (Viet). They comprise 86.2% of the population. Then, the Tay (1.9%), Tai (1.7%), Murong (1.5%), Khmer Krom (1.4%), Hoa (1.1%), Nuns (1.1%), Hmong (1%) and much smaller groups. 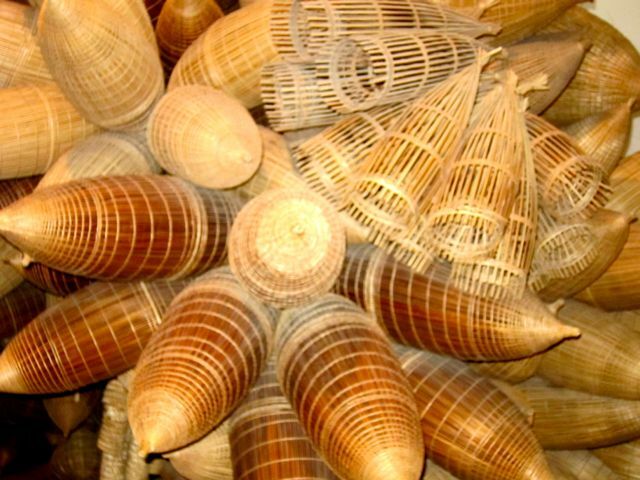 Often, you can enjoy in this museum traditional performances as well as learn some of Vietnam's traditional crafts. It has also a bookstore where you can get books on Vietnamese culture often not found in other bookstores. 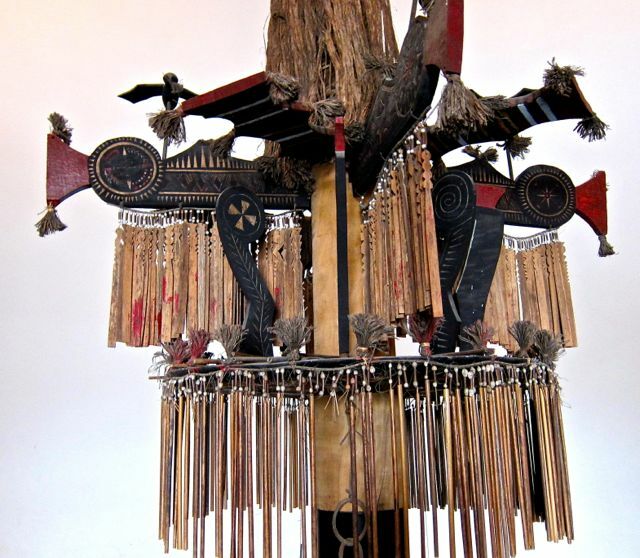 There is also the shop which sells some of the crafts of the ethnic groups. As you enter the Museum, this display greets you. You can look up and see some of the second floor displays. It is quite a stunning design. In front of the museum is this garden designed to follow the building's circular shape. 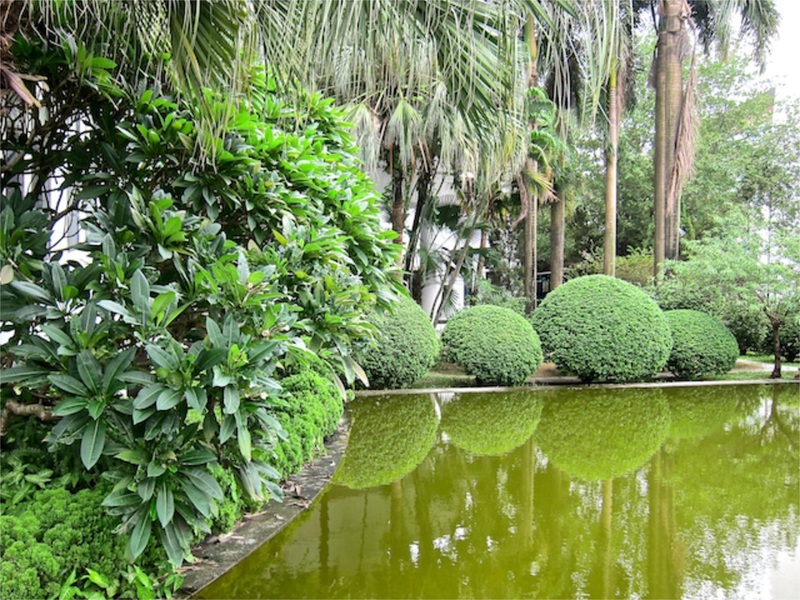 With the use of the water and circular shaped plants, it is a fitting invitation to ethnic life and a welcome oasis from the busy streets of Hanoi. Museum is opened except Monday. Maybe some of your friends will be interested in this post. Please share with them. Don't forget to leave a comment below.